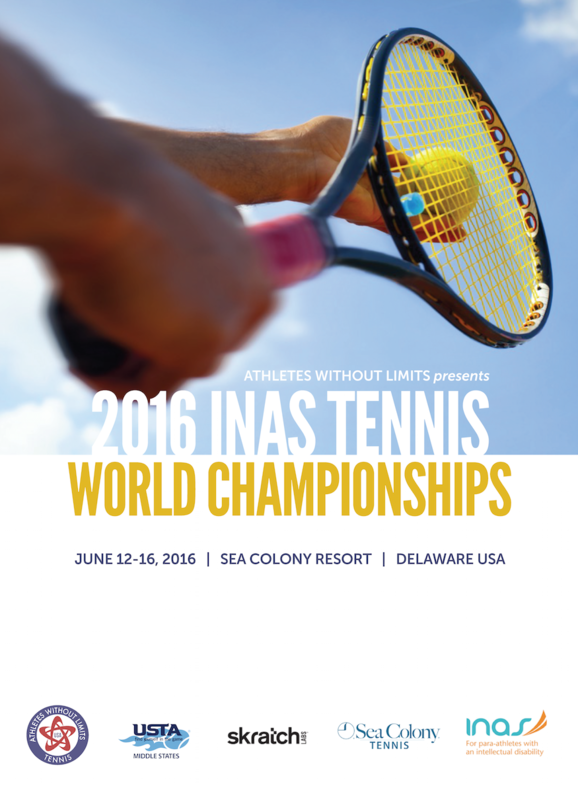 Athletes Without Limits is proud to host the 2016 Inas Tennis World Championships for athletes with intellectual impairment at the beautiful, ocean-front Sea Colony Resort & Tennis Center, located on Delaware’s Atlantic coast. The Inas Tennis World Championships showcases the world’s best players with intellectual impairment and was a spectator favorite at the 2015 Inas Global Games in Ecuador because of the incredibly high level of play and sportsmanship each match. Inas Member Countries will receive an email invitation to complete the online Intent to Compete by January 31, 2016. The Australian team is expected to defend its multiple 2015 team and individual titles amongst other top players from the United States, Belgium, Czech Republic and more. Download the full 2015 World Championships and 2014 World Championship results for more information. 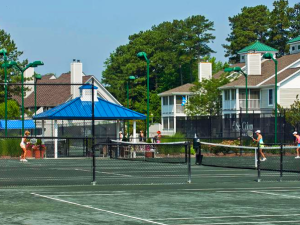 The competition categories are: Men’s Singles, Women’s Singles, Men’s Doubles, Women’s Doubles and Mixed Doubles. Each nation may enter up to 5 female and 5 male players, plus 2 staff. 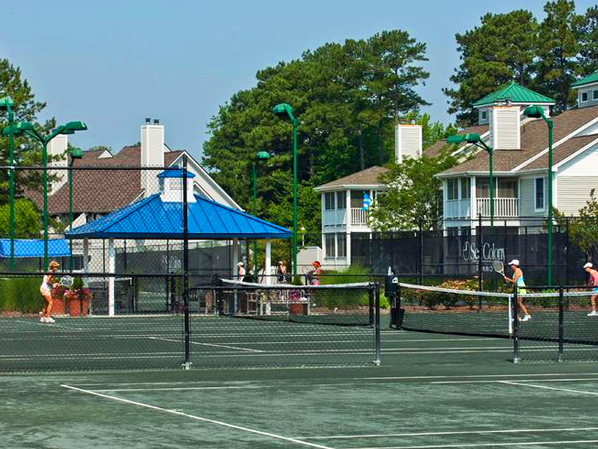 Sea Colony Tennis Center was named a United States Tennis Association “Outstanding Facility” in 2012 and features 34 tennis courts (6 indoor hard, 14 outdoor hard with 6 lit and 4 on the oceanfront, and 14 Har-Tru) and a full service pro-shop with re-gripping and re-stringing services. Detailed information and an internet-based entry system will be made available to Inas member countries to enter their delegations. Athletes must meet Inas Eligibility Criteria and appear on the Inas Master List no later than April 30. US players may apply for eligibility through Athletes Without Limits. Athletes outside the US should contact their country’s Inas Member Organization. The competition is governed by the rules of INAS with the approved adjustments for players with an intellectual disability. Housing will be arranged at Sea Colony Resort vacation condos, townhomes and single family homes based on each country’s delegation size. 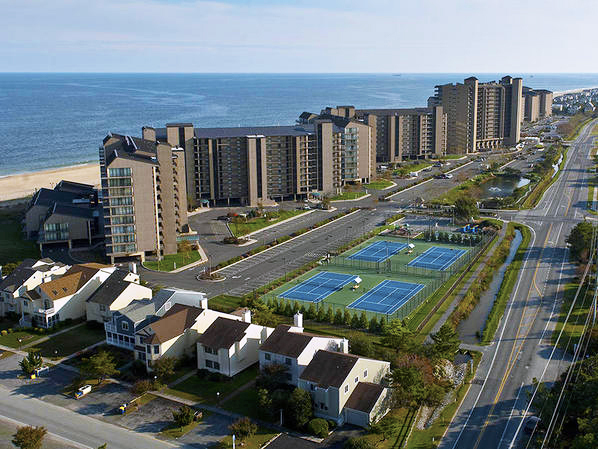 Sea Colony’s amenities include a half mile private beach, 12 pools, fitness centers, activities for all ages, community shuttle and year-round security. Meals are included with entry and all housing has full kitchens. Breakfast will be self-prepared in your kitchen while lunch and dinner will be provided by local restaurants. Athlete’s families are encouraged to attend the World Championships. Accommodation at Sea Colony will be facilitated by Athletes Without Limits. Sponsorship opportunities are available for this and other US-hosted international world championship events. For more information visit our sponsorship page or complete our sponsorship inquiry form.